At once an incredible chronicle of thirty years of Afghan history and a deeply moving story of family, friendship, faith, and the salvation to be found in love. Propelled by the same superb instinct for storytelling that made The Kite Runner a beloved classic, A Thousand Splendid Suns is at once an incredible chronicle of thirty years of Afghan history and a deeply moving story of family, friendship, faith, and the salvation to be found in love. Born a generation apart and with very different ideas about love and family, Mariam and Laila are two women brought jarringly together by war, by loss and by fate. As they endure the ever escalating dangers around them - in their home as well as in the streets of Kabul - they come to form a bond that makes them both sisters and mother-daughter to each other, and that will ultimately alter the course not just of their own lives but of the next generation. With heart-wrenching power and suspense, Hosseini shows how a woman's love for her family can move her to shocking and heroic acts of self-sacrifice, and that in the end it is love, or even the memory of love, that is often the key to survival. Mariam was five years old the first time she heard the word harami. It happened on a Thursday. It must have, because Mariam remembered that she had been restless and preoccupied that day, the way she was only on Thursdays, the day when Jalil visited her at the kolba. To pass the time until the moment that she would see him at last, crossing the knee-high grass in the clearing and waving, Mariam had climbed a chair and taken down her mother's Chinese tea set. The tea set was the sole relic that Mariam's mother, Nana, had of her own mother, who had died when Nana was two. Nana cherished each blue-and-white porcelain piece, the graceful curve of the pot's spout, the hand-painted finches and chrysanthemums, the dragon on the sugar bowl, meant to ward off evil. It was this last piece that slipped from Mariam's fingers, that fell to the wooden floorboards of the kolba and shattered. 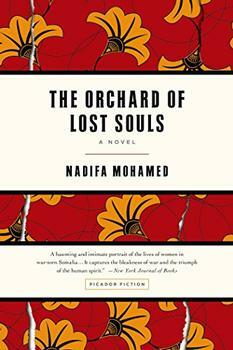 The phrase "a thousand splendid suns," from the poem by Saib-e-Tabrizi, is quoted twice in the novel  once as Laila's family prepares to leave Kabul, and again when she decides to return there from Pakistan. It is also echoed in one of the final lines: "Miriam is in Laila's own heart, where she shines with the bursting radiance of a thousand suns." Discuss the thematic significance of this phrase. Mariam's mother tells her: "Women like us. We endure. It's all we have." Discuss how this sentiment informs Mariam's life and how it relates to the larger themes of the novel. Some readers may find A Thousand Splendid Suns a little too melodramatic and sentimental for their tastes. This reviewer started off cynical but was entirely won over by the end - starting the book in the evening and waking up before dawn to finish it, reading by fading flashlight as the sun rose and the pages blurred through the tears. (Reviewed by BookBrowse Review Team). In the end it is these glimpses of daily life in Afghanistan — a country known to most Americans only through news accounts of war and terrorism — that make this novel, like The Kite Runner, so stirring, and that distract attention from its myriad flaws. A Thousand Splendid Suns is popular fiction of the first rank, which is plenty good enough, but it is not literature and should not be mistaken for such ... Many of us learned much from The Kite Runner. There is much more to be learned from A Thousand Splendid Suns. It is, for all its shortcomings, a brave, honorable, big-hearted book. Hosseini's bewitching narrative captures the intimate details of life in a world where it's a struggle to survive, skillfully inserting this human story into the larger backdrop of recent history. The texture of these characters' journey around the craters of their country is no doubt well known to readers of international news. Rendered as fiction in A Thousand Splendid Suns, however, it devastates in a new way. It forces us to imagine what we would do had we been born to such grim fates. One problem is that historical and political concerns are too observably wheeled into place .... You can almost see pencil lines being drawn in the margin by earnest book-group readers. Where Hosseini's novel begins to sing is in depicting the slowly growing friendship of the two wives in the face of the horrific abuse from their shared husband. In A Thousand Spended Suns, Hosseini is not just more assured, although this feels like the work of a much more accomplished writer. If he cut his teeth by writing about his countrymen, it is the plight of Afghanistan’s women that has brought him to realise his full powers as a novelist. Starred Review. Unimaginably tragic, Hosseini's magnificent second novel is a sad and beautiful testament to both Afghani suffering and strength. Starred Review. Another artistic triumph, and surefire bestseller, for this fearless writer. Starred Review. Hosseini gives a forceful but nuanced portrait of a patriarchal despotism where women are agonizingly dependent on fathers, husbands and especially sons, the bearing of male children being their sole path to social status. Excellent!! Thumbs up!! Love the author's writing style. Can't wait for the next book!! I couldn't put it down. A truly powerful and emotional story. It gave me a new appreciation of the plight of women in third world countries. A Thousand Splendid Suns was a gorgeous book. It's a must read. the beginning is really slow but once you get to chapter three its starts getting better. Afghanistan lies on the historically important trading routes between the Middle East and the Indian sub-continent. As a result of numerous invasions and migrations it is made up of many different ethnic groups including Baluch, Chahar Aimak, Turkmen, Hazara, Pashtun, Tajik, Uzbek, Nuristani, Arab, Kirghiz, Pashai and Persian. 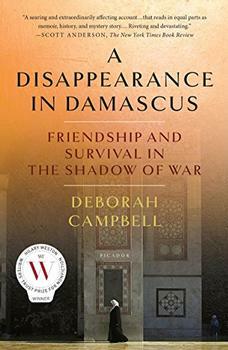 In the midst of an unfolding international crisis, renowned journalist Deborah Campbell finds herself swept up in the mysterious disappearance of Ahlam, her guide and friend. Campbell's frank, personal account of a journey through fear and the triumph of friendship and courage is as riveting as it is illuminating.